From Mercedes-Benz repairs and inspections to Service A/B, Mercedes-Benz of Anchorage specializes in top-tier auto service. It’s no secret that drivers from Anchorage, like you, want to get the most out of their new car. And why wouldn’t you? That’s why Mercedes-Benz of Anchorage staffs an auto shop in Anchorage that’s trained to keep your luxury vehicle in tip-top shape. Our secret? First: the training. Our team knows the ins and outs of your vehicle because they’re trained to understand everything that makes new Mercedes-Benz cars tick. Second: our team is equipped with the latest Mercedes-Benz certified parts. After all, your car deserves nothing less than the best Mercedes-Benz repair services. If you’re interested in seeing what we can do for your car, feel free to fill out our online contact form to schedule service. Or, if you’d like to speak with us as quickly as possible, feel free to either give us a call or visit our Mercedes-Benz dealership. 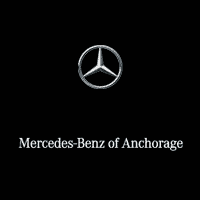 Mercedes-Benz of Anchorage is proud to offer the highest quality in automotive service and repair. While we are a Mercedes-Benz dealership, our qualified technicians are here to provide exceptional auto service, no matter what make or model of your vehicle. We know those vehicle problems tend to happen at the worst possible times. Life doesn’t stop when your vehicle does; that’s why we’re here for you!